Artistic inks are water dispersion pigments in a solution of natural resin designed for professional artists and starting artists. They excel in their high pigmentation, brilliance in shades, resistance to water and light permanency. 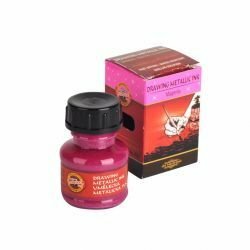 Inks are temperable and are suitable for painting with a brush or pen.